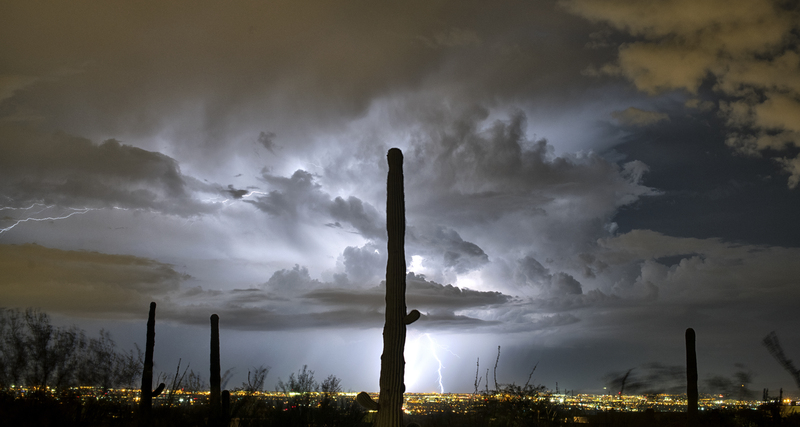 A large flash lit the clouds over the city captured from the foothills above. Image captured August 16 2018 with a Nikon D850 camera and 50 mm F1.4 lens at F 8.0 for 10 seconds using a lightning trigger. that is a fantastic picture. i really wish is had the knowledge and skill to take a picture as good as that.